After previewing All In A Day's Work earlier this week, Beats By Dre unveiled the full clip today. 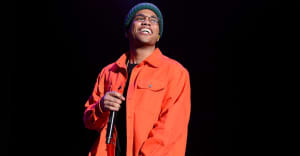 The short film picks up with Anderson .Paak as he starts rehearsals for a triumphant appearance at Coachella. Much of the footage involves Dr. Dre, who joined .Paak onstage during Coachella's second weekend. "The artists I like to work with are people that you know their voice from the first syllable," Dre explains to the camera. "Soon as he opens his mouth, you're gonna know it's him. He's coming with his voice, his delivery, his energy—he seems like an old soul."